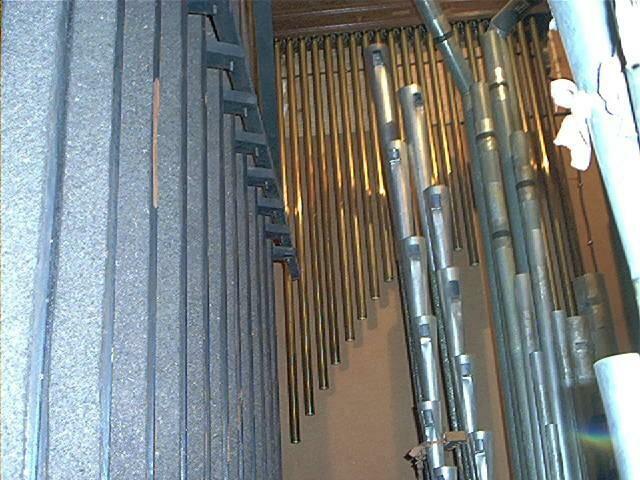 I feel confident that our Geneva organ is one of only a few still playing. It was built ca. 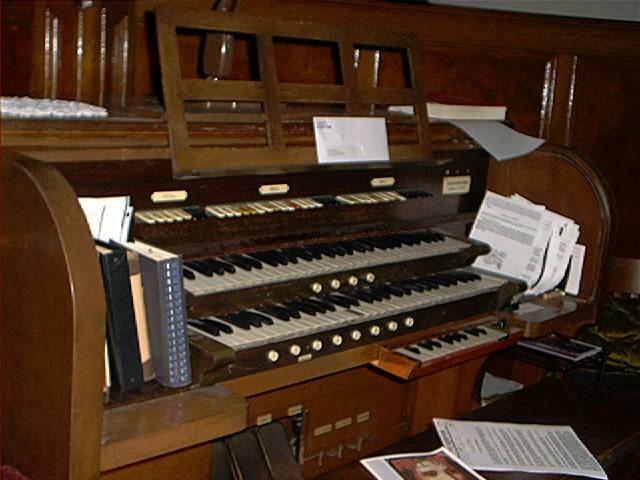 1927 by the Geneva Organ Company, Geneva, IL, an off-shoot of the Smith Unit Organ Company, and is a 2/10 instrument. It was originally installed in a private residence in Independence Missouri. Later it was moved to the Beverly Hills Hotel in Beverly Hills California, and again moved to the RKO (silent) Movie Theater in Kansas City. When the Rko closed in 1937, St. John's Purchased the instrument fro $4500.00. It has played continuously at St. John's since that date. If you have any additional information about this instrument, please contact me at the email link below. All input greatly appreciated. It failed in 2004 and was replaced. I double dog dare you to go to any of your favorite "Big Box" stores and find ANYTHING you think will last 80 years! OBTW: We had it REPAIRED for a spare!